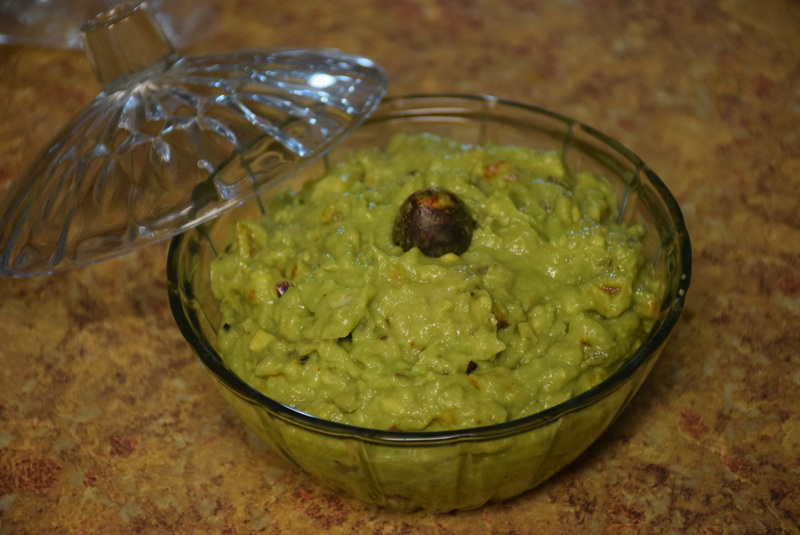 Guacamole or Avocado’s dip is a yummy,healthy “chutney” as we Indians call it made from a mexican fruit Avocado. Avocado has lots of essential oils,fats,vitamins which our tiny tots need. 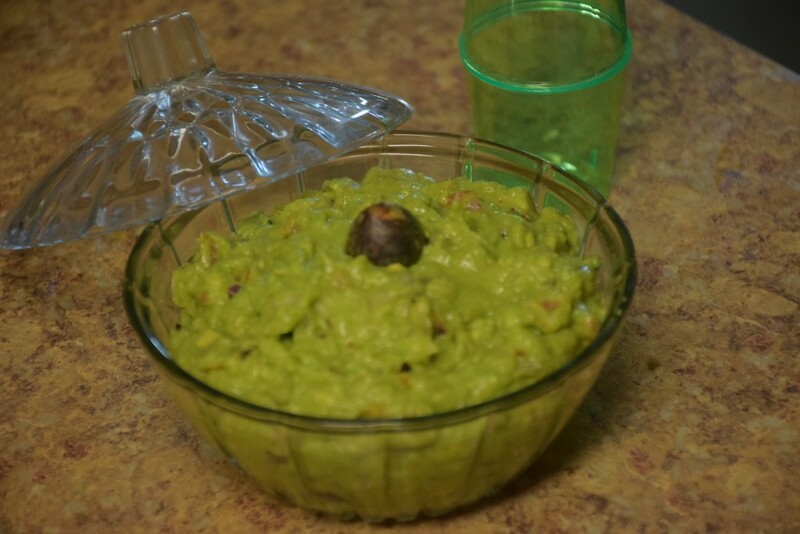 It also has fibers and doctors generally advise for 1 avocado per day for an infant or a growing baby.It is soft,wheatish ans mushy from inside and green from outside after peeling. Its skin although is dark(blackish) green in colour, and for choosing the right avocado ,just check that it is not dried and hard and should not be green from the outside. In short it should be ripe enough to be mashed with a fork or a spoon upon peeling. 1. 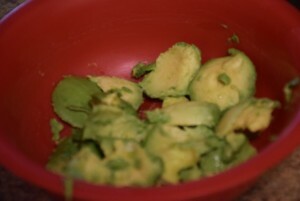 Peel the avocados and take out the pits.But don’t throw the pits, they are useful will tell you later. Now mash them with a fork or a spoon in a bowl. 2. Finely chop the onion,tomato,ginger and chillies.You may add finely chopped cilantro or coriander leaves too. 3. Mix all the ingredients in a large bowl with a spoon . Add the salt,chilli and lemon juice to it. 4. In the end add the pit in the center. 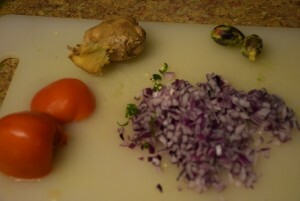 This pit helps in preventing the browning of dip and helps it preserving for more days. Although its better to consume within 1-2 days,but with pits it can be consumed in 5 days. Enjoy and serve with your favourite tortilla chips or fritters. This entry was posted in Dips and pickles, Food, Recipes and tagged avocado, cilantro, ginger, green chillies, Guacamole, juice, lemon, lime, onions, pits, red chilli, salt, tomatoes.